ISLAMABAD, Nov 16 (APP):The International Cricket Council (ICC) Thursday suspended Muhammad Hafeez from bowling in international cricket with immediate effect as the off-spinner’s bowling action was found to be illegal. The assessment revealed that the majority of his deliveries exceeded the 15 degrees level of tolerance permitted under the regulations, said an ICC press release issued here. In accordance with Article 11.1 of the ICC Illegal Bowling Regulations, Hafeez’s international suspension will also be recognised and enforced by all National Cricket Federations for domestic cricket events played in their own jurisdiction. However, pursuant to Article 11.5 of the Regulations and with the consent of the Pakistan Cricket Board (PCB), Hafeez may be able to bowl in domestic cricket events played under the auspices of the PCB. 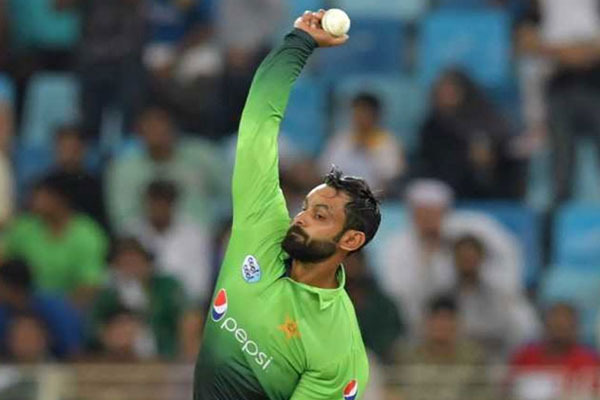 Hafeez was reported during the third One-Day International against Sri Lanka, which was played on 18 October in Abu Dhabi and had undergone an independent assessment of his bowling action on November 1 at Loughborough University. Hafeez can apply for a re-assessment after modifying his bowling action in accordance with clause 4.5 of the Regulations.